Taco Tuesdays at Comfort Food + Kitchenette has become a CULT favorite with our customers. a movie (which we can almost guarantee you have never seen) and an ALL YOU CAN EAT delicious Taco dinner!! We always have vegan and vegetarian options. WE HIGHLY RECOMMEND RESERVATIONS for this evening. no texting, no dm’ing, no FB msgs– please, we are busy cooking endless tacos! The Kitchenette fills up fast! We only have ONE seating each Tuesday. WEDNESDAY AND THURSDAY – BURGERS + WINGS! 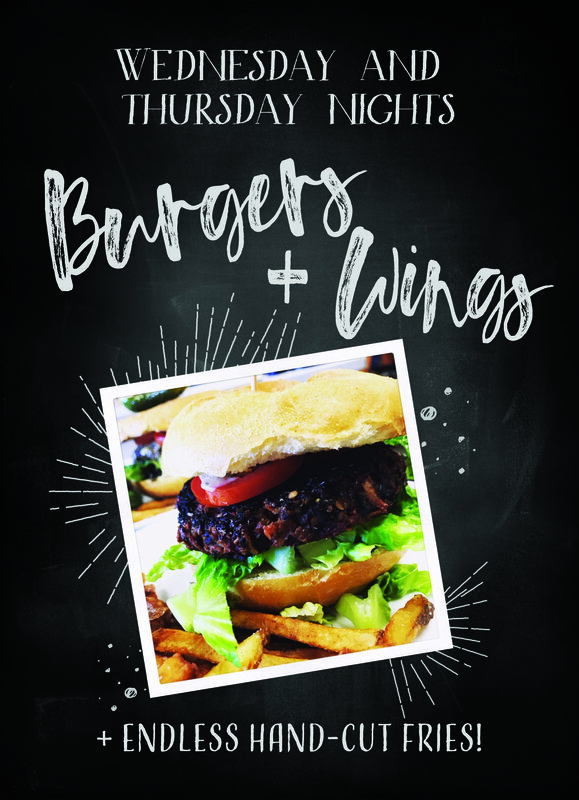 Our Wednesday and Thursday night specials include 2 kinds of house burgers to chose from, or two kinds of wings. Our burgers are surrounded by and endless supply of hand-cut fries. And wings are sticky-delicious. Our burger and wing plates change weekly. So mid week will never be boring. We just put the special sauce on hump day. Starts around 5 pm. Come hungry and leave sticky! NOTE: our regular dining menu is also available. IMMERSE your tastebuds in our Friday night special, delicious traditional ramen bowls, piping hot and incredibly delicious. Noodling starts around 5 pm. Come hungry and leave the week behind!